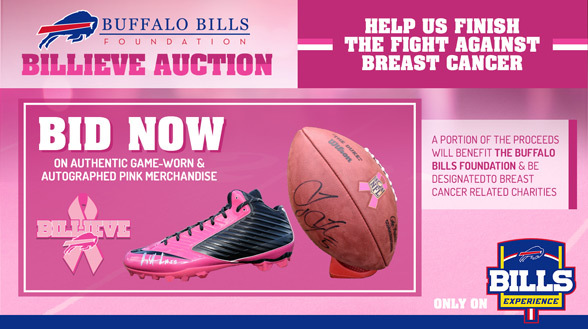 Bills fans, there’s still time to bid on special game-worn and autographed pink merchandise at the Buffalo Bills Foundation Billieve Auction held on Bills Experience! In addition to autographed items, including cleats, footballs, and signage, game-worn jerseys from the Bills vs. 49ers Week 6 matchup are now up for bid. 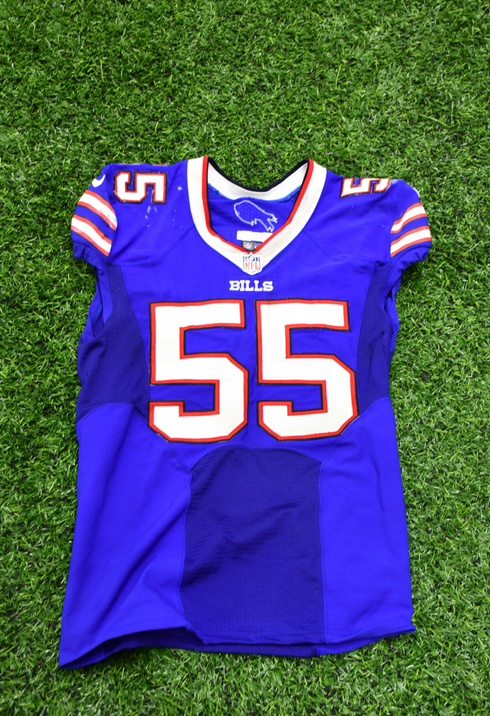 The jerseys available include, center Eric Wood, linebacker Lorenzo Alexander, linebacker Preston Brown, safety Aaron Williams and linebacker Jerry Hughes. A portion of the proceeds will benefit the Buffalo Bills Foundation and will be designated to breast cancer related charities. Bids can only be made on Bills Experience, which is available on Bills Mobile/My One Buffalo App. The auction will close on Thursday, Oct. 20 at 6 p.m. ET. To bid now, click here.